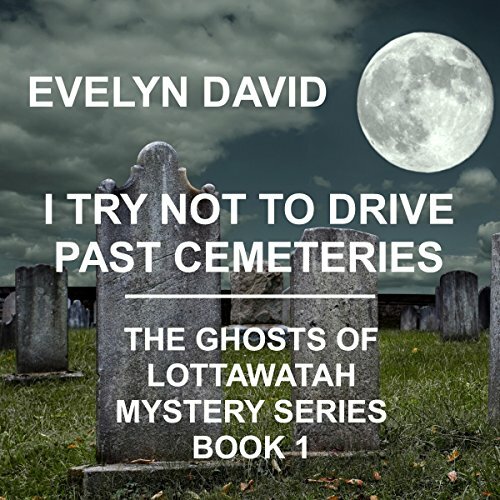 I Try Not to Drive Past Cemeteries, Book 1 of The Ghosts of Lottawatah Mystery series, is an anthology of short stories and novellas featuring reluctant psychic Brianna Sullivan. Hell on wheels or a psychic in a travel trailer? Brianna Sullivan gave up her job finding missing luggage for the airlines in order to seek the freedom of the open road. Her first stop? The small town of Lottawatah, Oklahoma. Using her psychic abilities, Brianna takes on a multitude of jobs to earn gas money, help out the local police detective, and direct some troubled souls towards the light. This audiobook contains: “I Try Not to Drive Past Cemeteries”, “Buried but Not Dead in Lottawatah”, “The Dog Days of Summer in Lottawatah”, “Giving Thanks in Lottawatah”, “Bah, Humbug in Lottawatah”, and “Undying Love in Lottawatah”. Brianna Sullivan gave up her job finding missing luggage for the airlines in order to seek the freedom of the open road. Her first stop? The small town of Lottawatah, Oklahoma. Using her psychic abilities, Brianna takes on a multitude of jobs to earn gas money, help out the local police detective, and direct some troubled souls towards the light.